Congratulations to Karen Blair for Something Wonderful being shortlisted for the 2017 Patricia Wrightson Prize for Children’s Literature Award. Sam chases feathers on windy days and wonders, among other things, about the shape of raindrops. He is intensely thoughtful and curious not only about the natural world, but also the nature and movement of machines and mechanisms. An only child growing up on an Australian farm, Sam is often distracted from his daily chores by natural and mechanical phenomena, to his father’s mild exasperation. But Sam’s mother gently points out that Sam’s observations and experiments are just as important as chores — a point Sam’s father admiringly acknowledges when shown the egg-collecting machine Sam creates in the farm shed. 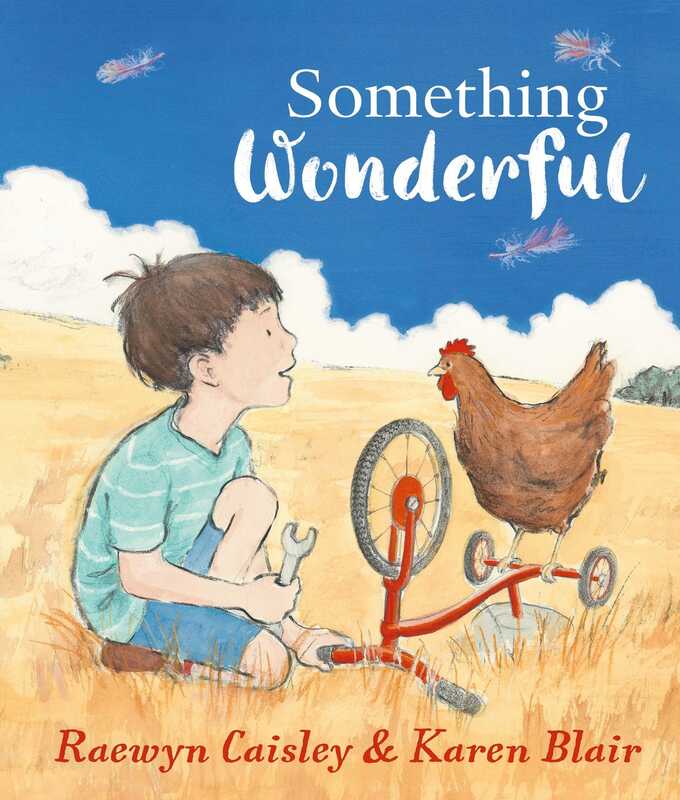 Something Wonderful is indeed a wonderful story about a child’s curiosity and inventiveness, a salute to anyone who has ever dismantled and then reassembled a childhood toy. Raewyn Caisley’s text is beautifully and engagingly rendered. Karen Blair’s illustrations likewise reflect the verve and optimism of the story’s protagonist, as well as the love and admiration of his parents. In a warm twist, it is revealed that Sam’s character was inspired by a real boy namesake, whose latter-day career is told in the small-print preamble and dedication. The Patricia Wrightson Prize ($30,000) is offered for a work of fiction, non-fiction or poetry written for children up to secondary school level. Books containing the work of more than four authors, including anthologies, are not eligible for nomination. In the case of books containing original illustrations, the judges may determine that the award be shared by the writer/s and the illustrator.